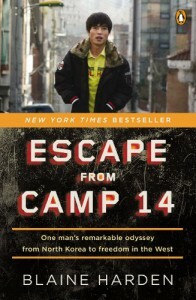 Escape From Camp 14: One Man's Remarkable Odyssey from North Korea to Freedom in the West by Blaine Harden - O! what Man will do fore a Rime! O! what Man will do fore a Rime! Self-proclaimed bibliophile, culture nut and nerdfighter. English lit. 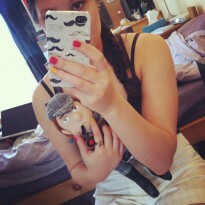 and linguistics geek. Future career in publishing. Note: This review was taken directly from my Goodreads account. I'm not docking bits of star off because I don't find this story interesting or incredible or amazing, because I do and I think it is. To be born in a political labour camp and to escape to freedom and regular human beings? That's amazing. I don't think I could ever have the guts to do it. And I think this is a very important piece of work. It's a reminder that the Kim regime actually willingly destroys its population with famine, labour camps and a military state; they're not just there for us to make fun of -- they actually ruin ordinary people's lives with crimes against humanity and terror. This is nothing to make light of. What is influencing my decision to strip stars off this book is, when it comes down to it, the writing. Harden may be a great journalist (I don't know, I don't have personal experience with his journalism), but he's not that good with a book. The story is phenomenal, but Harden's technical abilities with prose don't humanize the story in a way that Demick's Nothing to Envy: Ordinary Lives in North Korea does. In the hands of a skilled story-teller, this book could have been better told. A nitpicky thing is the subtitle: One Man's Remarkable Odyssey from North Korea to Freedom in the West. Specifically Freedom in the West. That is both false advertising (that's not what happens in Shin's story, unless by "West" Harden means geographically west -- China, which does not exactly qualify as "freedom" for North Koreans) and pandering to a political audience (Doesn't it just make you feel good inside knowing that us Westerners are better than the North Koreans? Yay!). It could have just been left as One Man's Remarkable Odyssey from North Korea to Freedom. Boom! Story outlined and no overly obvious political leanings.